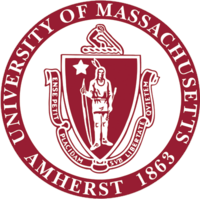 The University of Massachusetts Amherst (otherwise known as UMass Amherst, Massachusetts, or UMass) is a research and land-grant university in Amherst, Massachusetts. The University of Massachusetts Amherst offers over 90 undergraduate and 65 graduate areas of study. 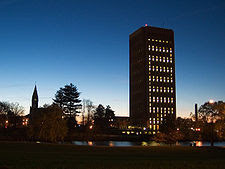 It was known as the University of Massachusetts from 1947 until the creation of the UMass system, for which it now serves as the flagship campus. UMass Amherst was born in 1863 as a land-grant agricultural college set on 310 rural acres with four faculty members, four wooden buildings, 56 students and a curriculum combining modern farming, science, technical courses, and liberal arts. Over time, the curriculum, facilities, and student body outgrew the institution’s original mission. In 1892 the first female student enrolled and graduate degrees were authorized. By 1931, to reflect a broader curriculum, “Mass Aggie” had become Massachusetts State College. 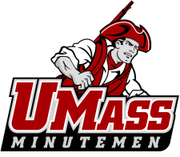 In 1947, “Mass State” became the University of Massachusetts at Amherst. Immediately after World War II, the university experienced rapid growth in facilities, programs and enrollment, with 4000 students in 1954. By 1964, undergraduate enrollment jumped to 10,500, as Baby Boomers came of age. The turbulent political environment also brought a “sit-in” to the newly constructed Whitmore Administration Building. By the end of the decade, the completion of Southwest Residential Complex, the Alumni Stadium and the establishment of many new academic departments gave UMass Amherst much of its modern stature. In the 1970s continued growth gave rise to a shuttle bus service on campus as well as several important architectural additions: the Murray D. Lincoln Campus Center, with a hotel, office space, fine dining restaurant, campus store and passageway to a multi-level parking garage; the W.E.B. Du Bois Library, named “tallest library in the world” upon its completion in 1973; and the Fine Arts Center, with performance space for world-class music, dance and theater. The next two decades saw the emergence of UMass Amherst as a major research facility with the construction of the Lederle Graduate Research Center and the Conte National Polymer Research Center. Other programs excelled as well. 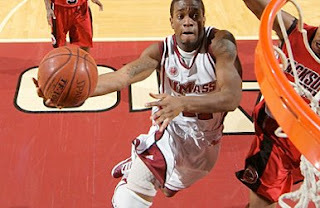 In 1996 UMass Basketball became Atlantic 10 Conference champs and went to the NCAA Final Four. Before the millennium, both the William D. Mullins Center, a multi-purpose sports and convocation facility, and the Paul Robsham Visitors Center bustled with activity, welcoming thousands of visitors to the campus each year. 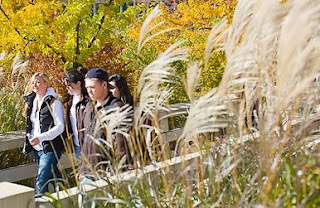 UMass Amherst entered the 21st century as the flagship campus of the state’s five-campus University system, and enrollment of nearly 24,000 students and a national and international reputation for excellence. The University of Massachusetts Amherst confers bachelor’s, master’s, professional, and doctoral degrees in the arts and sciences, humanities, agriculture, architecture, business, engineering, and the health professions. The university is a member of the Five College Consortium of Massachusetts schools that includes Smith College in Northampton; Mount Holyoke College in South Hadley; and Hampshire College and Amherst College, both in Amherst. Students at the University of Massachusetts Amherst can enroll in courses at any of those institutions. Students can also enroll at the other schools in the University of Massachusetts system. These schools are located in Boston, Dartmouth, Lowell, and Worcester. 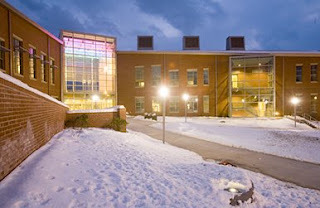 The University of Massachusetts Amherst is home to a number of research institutes, including the Massachusetts Institute for Social and Economics Research, the Silvio O. Conte Anadromous Fish Research Center, and the Center for International Security and Derivative Markets. 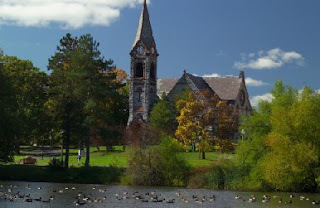 The University of Massachusetts Amherst campus covers 569 hectares (1405 acres). 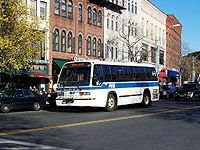 The main industry in the town of Amherst is higher education, giving the town a distinctive collegiate atmosphere. Graduates of the University of Massachusetts Amherst include basketball player Julius Erving; actor and comedian Bill Cosby; and Nobel Prize-winning physicist Russell A. Hulse.